Pharmacy paper bags provide an opportunity to send your brand home with your customers. For minimal extra cost to that of a generic bag, you can have a custom printed paper bag that promotes your pharmacy brand, contact information and services. 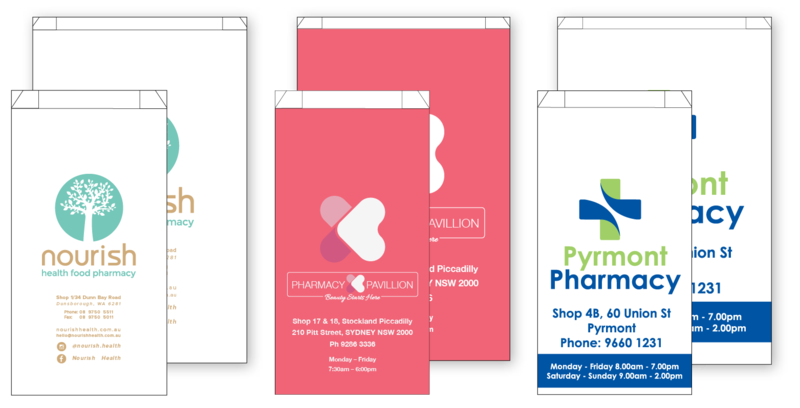 Our paper bags are manufactured right here in Australia and offer high quality stock and exceptional print finish that will ensure a professional look and feel for your pharmacy.